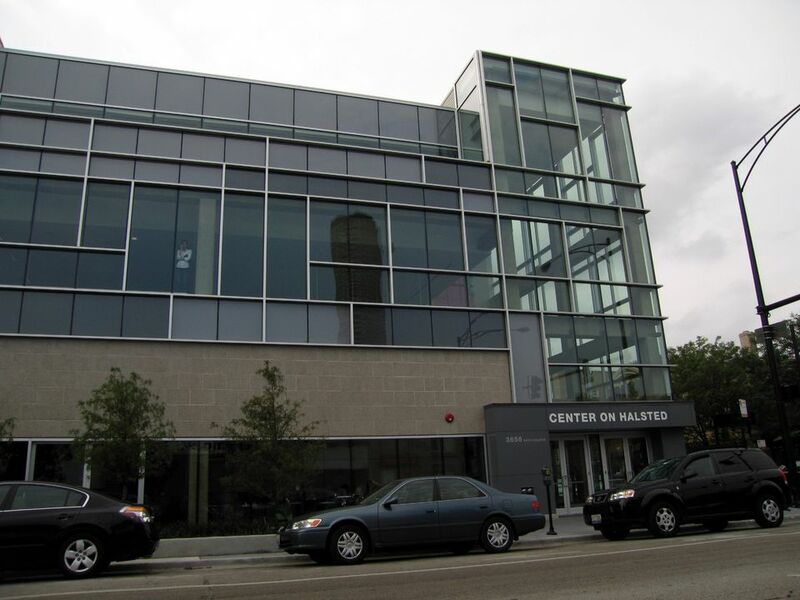 At the northern end of the Boystown section of Halsted Street, the Center on Halsted is Chicago's extremely impressive, beautifully designed LGBTQ community resource center and all-purpose hangout, complete with myriad programs and events. The center's website has tons of information for GLBT visitors to the city, and it's along a stretch of gay-friendly shops and restaurants that include Kit Kat Lounge & Supper Club and Leather Sport boutique. Continue to 2 of 31 below. Big Chicks gay bar in just north of Lakeview is a lively and colorful bar that is very friendly to the LGBTQ community. Dine on food, dance and drink as you take in the interesting art that line the walls. Continue to 3 of 31 below. With three locations around Chicago, all of them with a significant if in some cases fanatic gay and lesbian following, Ann Sather restaurants and cafes serves exceptionally tasty Swedish-American fare in the diner-luncheonette style. Breakfast is arguably the most popular meal - note the huge cinnamon rolls. Other morning dishes of note include crab cake Benedicts, Swedish pancakes swimming in syrup, pecan French toast with hazelnut cream, and eggs with Swedish potato sausage. At lunch, try the chicken-avocado club sandwich, a big reason for the success of these restaurants is the cheerful, proficient service. In operation for more than 60 years, the restaurant is owned by local, openly gay politician Tom Tunney. The cafe is a fixture on North Broadway, near several other cheap and simple spots, such as Melrose Restaurant and Joy's Noodles. Continue to 4 of 31 below. Progress Bar, formerly known as Cocktail, invites locals to dance to DJ's, and show up for special appearances. But, on normal nights, come and throw back some drinks in a truly inviting space. One of the nation's foremost gay-friendly and independent neighborhood bookstores since it was opened by Ed Devereux in 1980, Unabridged Bookstore has a superb selection of gay and lesbian titles, plus a strong representation of travel, children's, and general literature (both contemporary and classic). It's one of Lakeview's great community gathering spots, and a wonderful asset and resource for Chicago's GLBT population. If in Andersonville, check out the excellent Women and Children First bookstore. Continue to 6 of 31 below. The Closet lesbian and gay bar is one of the areas favorite bars to mingle. Opened in the 1970's, the tiny bar offers up everything from dancing and games to karaoke and events. Continue to 7 of 31 below. With reasonable prices, a friendly staff, and a great location in the heart of Lakeview, the Best Western Hawthorne Terrace is one of the best lodging options in the city for gay travelers. The attractive 59-room hotel has plenty of perks: refrigerators and microwaves in rooms, free Wi-Fi, and relatively affordable parking. Just keep in mind that the hotel tends to book up quickly, especially in summer when baseball's Chicago Cubs are in town, as the hotel is a short walk from Wrigley Field. The hotel has a great location on North Broadway, not far from The Closet, Unabridged Bookstore, Ann Sather Cafe, and Joy's Noodles. Continue to 8 of 31 below. Head to festive Las Mananitas for inexpensive, well-prepared Mexican food. The cheery, always-busy restaurant that often features live music doles out fairly standardized Mexican-American favorites, and in good-size portions. Other nearby affordable eateries include Nookies Trees. Easily one of Chicagoland's best bets for homemade ice cream, George's Ice Cream & Sweets sits along Andersonville's main drag and is a favorite stop following dinner at one of the neighborhoods many excellent restaurants. The stellar ice cream served here is actually produced by the renowned Madison, Wisconsin-based Chocolate Shoppe company, which has been around since 1962 and has a huge following throughout the Midwest. Formerly known as Sweet Occasions, George's has that nostalgic feel of an old-fashioned ice cream parlor and serves such vaunted Chocolate Shoppe ice cream flavors as strawberry-banana twist, maple nut, peanut-butter cookie dough, blueberry cheesecake, and Zanzibar dark chocolate, plus wonderful sundaes like the Grasshopper (with mint-chocolate chip, Oreos, and fudge). The shop also serves excellent panini sandwiches and crepes, specialty coffees and lattes, and a wide variety of cakes, cupcakes, homemade fudge, and other sweets - it's a nice dessert option following dinner at Anteprima or Hamburger Mary's. For tasty ice cream in Lakeview, try Bobtail. Continue to 10 of 31 below. Roscoe's Tavern is one of Lakeview's top gay bars and dance clubs. The bar also offers food in its outdoor cafe during summer. Continue to 11 of 31 below. Cleverly named and irreverently stocked, He Who Eats Mud is one of the many fun boutiques along North Broadway catering to Lakeview's fun-loving, witty customers. Shop for silly cards, quite sophisticated stationary, offbeat t-shirts, and other amusing novelties and gifts. Continue to 12 of 31 below. Nestled amidst the hectic nightlife of the area, Home Bistro in Boystown serves up inventive American cuisine. On the southern edge of Lakeview, the Broadway outpost of Bobtail Ice Cream (2951 N. Broadway, 773-880-7372) is a great little spot for a sweet treat. Bobtail produces a number of tasty flavors, from chocolate and butter pecan to specialty flavors. Continue to 14 of 31 below. Dance the night away at Lakeview's​ Berlin Nightclub, which features an eclectic array of electronic music, videos and themed events. Continue to 15 of 31 below. Hydrate Chicago offers a place for the community to watch amazing drag shows while sipping on fine cocktails. Continue to 16 of 31 below. Jackhammer is an Andersonville gay bar ​staple. The gay bar caters to leathers, bears and friends. Dance the night away and take advantage of a full bar as well. Continue to 18 of 31 below. In 1975, back when little Lakeview was just becoming known as one of the great gay neighborhoods in the country, Coffee & Tea Exchange on North Broadway opened as an alternative to the crappy bulk coffee sold in most grocery stores and even restaurants. As Starbucks, Caribou, and other chains (and other indies) have sprung up in the area, Coffee & Tea Exchange has continued to thrive. It remains an excellent choice for premium (often fair-trade and organic) coffees and teas from around the world. If you're serious about java or tea, this place is a must. Continue to 19 of 31 below. One of the preeminent feminist bookstores in the country and a longtime fixture of the Andersonville community, Women and Children First has an excellent selection of titles and a knowledgeable, helpful staff to recommend just the perfect read. It's also open until 9 p.m. many nights (6 p.m. or 7 p.m. on others), making it a nice spot to linger and browse while you wait for a table at a nearby restaurant. The bookstore does a brisk online/mail-order business and hosts plenty of author events as well as community functions of interest to lesbians, families, and others in this diverse neighborhood. It's near Reza's and A Taste of Heaven, and it's one of the city's best indie bookstores. Continue to 20 of 31 below. For tasty Persian and Iranian food, Reza's Restaurant is the place to visit in Andersonville. Dine on kabobs, and enjoy tasty cocktails, too. Scarlet Bar Chicago, offers DJ's and plenty of drink specials which fuel the crowd. The bar pays homage to the 1930's gay scene as well with its decor. It was formerly known as the bar Gentry. Continue to 22 of 31 below. Joy's Noodles & Rice serves up an impressive roster of mostly Thai and Chinese favorites, including spring rolls with tamarind sauce, chicken satay, fried shrimp wontons, coconut curries, cashew chicken, barbecue pork and rice, and so on. The reliable and affordable restaurant is very popular and perfect when you're looking to fill up fast and cheaply. Continue to 23 of 31 below. Sidetrack, a gay bar in Lakeview is one of the biggest clubs in the area and serves up tasty slushy drinks that are popular with the locals. The bar holds many events throughout the month as well, including Tony Award viewing parties, drag shows, and more! Continue to 24 of 31 below. Andersonville's cheerful A Taste of Heaven serves some of the best coffee in the neighborhood and also bakes wonderfully fragrant and tasty breads used in sandwiches, brownies, cakes, and other delectable snacks. It's a fun spot for breakfast of lunch, but desserts are the main reason to check this place out. Part of a small local chain of Chicago health clubs with additional branches in nearby Bucktown and Edgewater, gay-friendly Cheetah Gym Chicago is reasonably priced, well-equipped, and popular with Andersonville's LGBTQ community. Daily guest passes are available for a small fee per day as well, making it popular to bring a friend to work out with. With the calories you've burned off, you can treat yourself to a tasty dessert at nearby Taste of Heaven. Continue to 26 of 31 below. Nookies Tree in Lakeview is one of the areas most popular eateries. Patrons come for the traditional American cuisine, and delicious breakfast, including everything from pancakes to egg dishes. It's a favorite local spot for brunch! Continue to 27 of 31 below. The impressive Fitness Formula Halsted, a gay-popular outpost of the upscale Chicago health club chain, has some of the finest facilities of any gym in the city. It's also open 24 hours during the week, and until 9 pm on weekends, which makes it perfect for those with a busy schedule. Located close to many of the city's trendiest gay bars and restaurants (Sidetrack, Minibar), it's technically a members club, however non-members may work out here for a fee (which is reduced if you're a member of a health club that's part of International Health, Racquet and Sportsclub Association (IHRSA). Continue to 28 of 31 below. Drag queens, club kids, and pretty much anyone seeking a cool costume regularly scour the racks of Beatnix, a retro-fabulous boutique along bustling gay Halsted Street that's packed with flashy attire, wigs, hats, make-up, and assorted glam-wear. Steamworks Chicago is one of the areas best private men's gyms. The bathhouse, which offers a sauna and more, is for men 18 years and older. Continue to 30 of 31 below. Chicago Male Salon is one of the city's best options for hair care, facials, and body wraps. The sleek shop along bustling North Halsted Street carries Osmotics, Billy Jealousy, GoSMILE, Truefitt & Hill, and other fashionable products, as well as offering men's haircuts and products like shampoos. Continue to 31 of 31 below. Browse treats, collars, beds, toys, soaps, and other goodies for your canine and feline friends at Wiggleyville, a cheerful pet boutique along North Broadway's blocks of great shopping and dining.